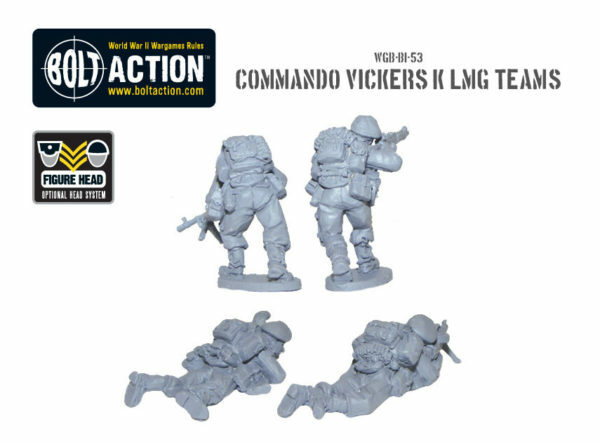 New: Bolt Action Commandos with Vickers K LMGs! More commonly known as the Vickers K, the Vickers G.O. (Gas Operated) was a .303 inch light machine gun that was originally adapted fro ground use by the Royal Air Force for airfield defence. 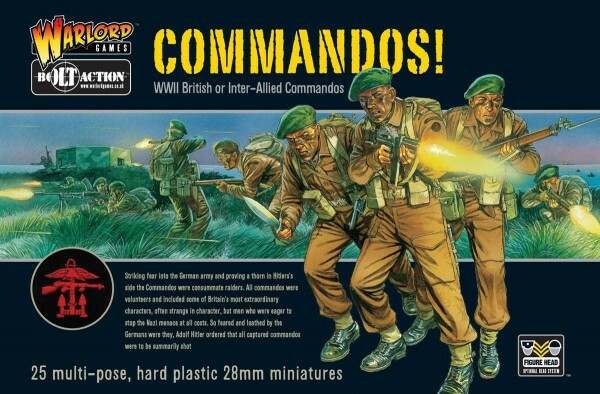 This was predominantly down to it’s high rate of fire which gave it effective suppressing fire capability unlike it’s contemporaries in use with the British Armed Forces during the time. 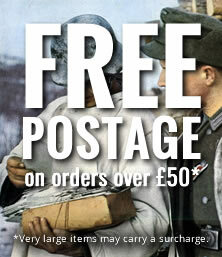 The addition of Bren gun parts (bipod and improved sights) saw it enter service with Army Commando units during 1943. 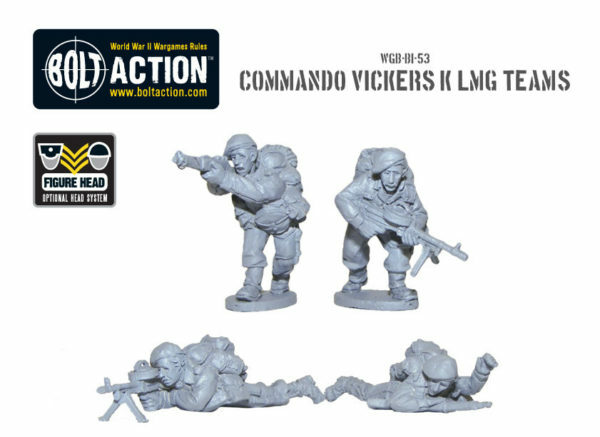 During Operation Overlord in Normandy, No 4 Commando made good use of the Vickers K, believed to have been in place of the Medium Machine Guns used by the Heavy Weapons Troop – heavy weapons not ideally suited to the opening assault phases of the invasion. 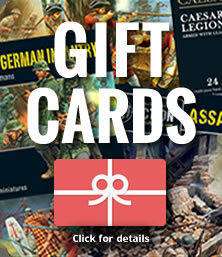 Vickers K guns also saw action during Operation Infatuate – the assault on the Walcheren Islands in Holland. 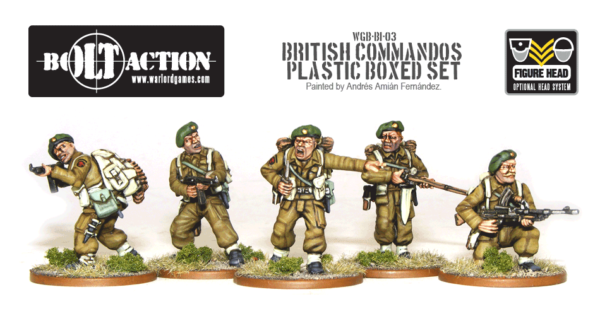 Of course, you’ll be wanting to add these lovely new miniatures to your Commando army and if you don’t have one look no further than our plastic multi-pose Commandos boxed set!